Flexible setup in your own data center. Perpetual license. Designed for companies who prefer to have the entire PowerShark EQR solution installed in-house or within their own IT enterprise and have sufficient IT infrastructure and staff to manage the solution. Links Technology will work with each utility to determine the exact hardware resource needs that will best accommodate the PowerShark EQR solution. Links’ Support staff will also make themselves available during the installation phase to make sure the software gets configured properly. Information regarding the hardware and software specifications can be found on the Technical Requirements page. 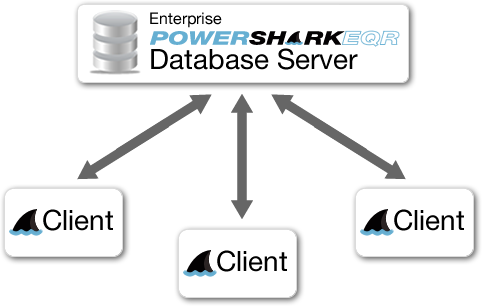 Under the Enterprise Model, PowerShark EQR is purchased (one-time fee) under a "perpetual license" arrangement. This one-time purchase price gives each utility life-time rights to use PowerShark EQR. An annual Maintenance and Support contract is then purchased to cover all software updates and including user and technical support. Comprehensive online help and documentation is included, and video training can be added as an option. To learn more about PowerShark EQR training options, please visit the Training page. If you have questions regarding enterprise pricing, please contact the sales team.